What Is The Importance Of Blog Commenting In Search Engine Optimization? 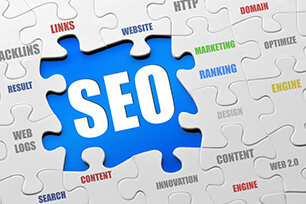 For enhancing the online presence Search engine optimization is one of the essential steps for any website or business. For the optimization of search engine there are various ways adopted by the digital marketing services providing companies. Blogs are one great solution for search engine optimization and blog comments can add to the advantage by improving the ranking of website throughout the search engines. Even the bloggers work as the magnets for search engines and lead to the quick indexing by the search engines. Bloggers believe that excellent, informative and responsive blog can work for having website indexed and getting it out of the sandbox of Goggle. Blogs not only help to move up to the ladder of ranking but also comments wither by the blogger or by the users can also do the same as we can see sometime while searching something some keyword focused comments also displayed in the results in the search engine pages. After creating the blog when the bloggers update the post or write new post to it then automatically search engine and the associated services get pinged and these notifications lead to the more traffic and more comments. Search engines not take the blog comments as the comments but take it as the content which is the great news for the bloggers and even if you have not written the comment yourself then others write comment for you. It is the biggest plus point of blog comments. Whenever the visitors access any blog and put comment then the blogger replies so automatically conversation between blogger and visitor get start that increase the number of total comments on blog that become the reason for attraction of other visitors so lead to more traffic . Then with the more comments on particular blog SEO bonus come in front as when search engine notice any post with increasing comment then it improves the ranking of post which is enriched with keyword and reflect the topic. Hence the comments can lead to the SEO but if the blog is written with well organized content and even the comments are entitled with the appropriate key words.